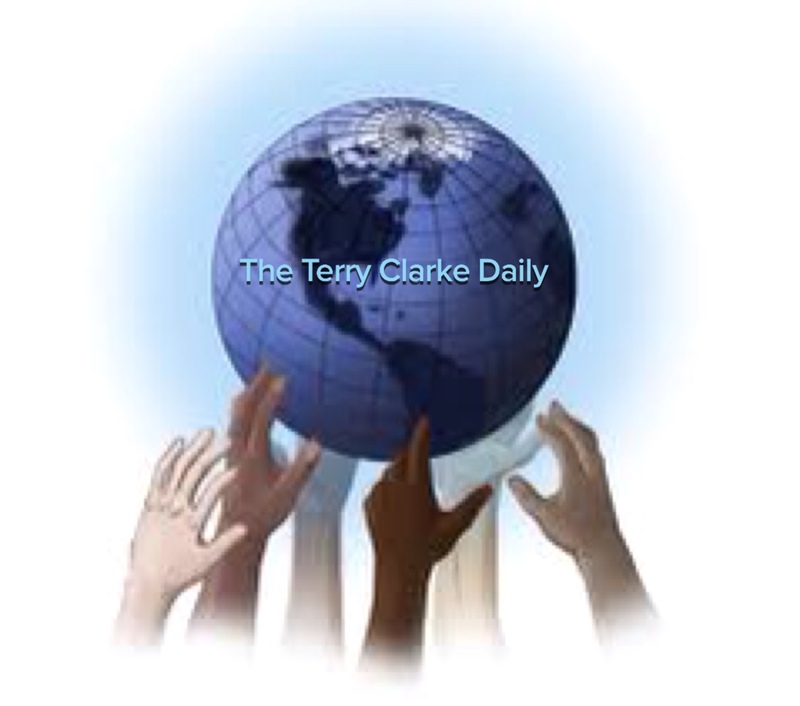 The Terry Clarke Daily (March 3, 2015) is out! The March 3, 2015 edition of The Terry Clarke Daily is out. I appreciate the response so far, and I have incorporated several issues into regular articles at the request of many of the publication's readers. I continue to request additional areas of interest readers would like to see in future editions. Please click the link below to access today's edition! As an environmental attorney, I have seen first-hand the hard-fought battles involving the one thing (other than smartphones themselves-and they even need it) modern humans in developed countries absolutely cannot live without. Of course, I am talking about electricity, that necessity of contemporary life which provides us heat in the winter and cool air in the summer, keeps our perishable foods fresh, provides lights for our homes, offices and city streets, and most importantly keeps us connected to the INTERNET. How would today’s society function without the ability to text a friend while eating family dinner, talk loudly on one’s cell phone while in line at the grocery store, or post on Facebook, Instagram or Tumbler a selfie or post on Vine, Vemio or youtube a video of a cat performing a marginally amusing trick? The answer to my hypothetical question is simply WE CAN’T. agency adopted depended upon which administration was in office in any given year. American Tribes concerned with potential disturbance of ancestral grave or habitation sites. Luckily, perhaps soon, modern society will be provided with an almost endless supply of power which would not be expected to arouse anger within the environmental community or with state and Federal agencies. In fact the production of electricity through this method will be as simple and easy as a parent dropping his or her son(s) and daughter(s) and their friends off at a local mall, or taking them to a professional sporting event or concert of their favorite musical group. Of course, the power to which I refer is . . .
. . . PEDAL POWER! Entrepreneur Laurence Kemball-Cook had a “brainwave” six years ago which provided him with the idea to produce electricity unlike any system of power production in modern history. Mr. Kemball-Cook has developed and produced a working model of an electricity-production system which relies solely upon people walking across a system of tiles, which stores and collects the energy produced with each strike of a shoe to his specially designed tiles and distributes that energy to the power grid. An article appearing in The Guardian on January 11, 2015 (the link provided below) describes how Mr. Kemball-Cook’s electricit’s-producing tiles work, what stage of development the trials are in and which lucky investors were fortunate enough to invest in this brilliant system in its infancy. The floor tiles that use foot power to light up cities. There is a terrible epidemic in the killing and trade of endangered species worldwide for profit. While the extinction of any species is one of the worst acts humankind can inflict on a helpless animal, there are aspects to this needless killing which have even more far-reaching consequences that some say could endanger humans themselves. 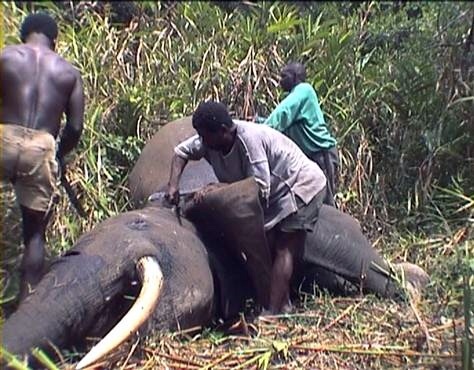 The video below will explain, in very graphic detail how ivory trade could ultimately destroy the human race. One elephant is killed every 15 minutes and 96 elephants are killed each day. The ivory trade is not only illegal, it is also a huge-profit enterprise for organized crime and for radical groups who use money from their killing spree to finance terrorist activities around the globe. Each time you buy an “innocently produced” ivory trinket or souvenir, please recognize you are taking part, indirectly, in the needless killing of the majestic elephant and are furthering organized crime and terrorist activities. Please view the video below (if you can make it through the gruesome images) and consider what, if anything, you can do or are willing to do to stop this senseless destruction of an important animal species and to, equally importantly, stop the spread of terrorism associated with these senseless acts of cruelty. Mountaintop-mining (a form of surface coal mining where the tops of Appalachian mountains are removed to expose valuable coal reserves) and “fracking” (a form of accessing oil and gas reserves that many claim to be destroying water quality and causing subsidence and small earthquakes), are both forms of extracting natural resources for energy production. Both processes involve highly charged support or opposition by the coal/gas & oil industry (and their service industries), on one side, and environmental groups (and their supporters) on the other. As an environmental attorney working in Appalachia, I have had the misfortune of working on both mountaintop mining issues and oil & gas fracking issues. Unlike other highly charged issues on which I have worked during my career, there is virtually no opportunity for any compromise on either side of these issues, turning political policy decisions on the subjects into metaphorical IEDs, ready to explode and alienate a large segment of voters, regardless of which side benefits from a given policy. Although I have worked with Native American tribal liaisons regarding ancestral artifacts and human remains, I have never worked with them on issues related to natural resource extraction/exploitation–though I did discuss the issue hypothetically in a graduate level Environmental Ethics course I taught as an adjunct professor. As expected, the students in the course were divided in their strongly held beliefs on both sides of the issue of whether natural resources should be allowed to be removed by private industry from Native American lands, with obvious environmental effects, if the action would result in cheaper electric bills. The Nation of Change article linked below shows one Native American tribe’s views toward the practice of “fracking” and the effects this process will have on their traditional lands. I would be interested in receiving feedback on readers’ particular views on these two natural resource extraction methods.